Conservative Dental Treatment | Are your Teeth Straight but Ugle? 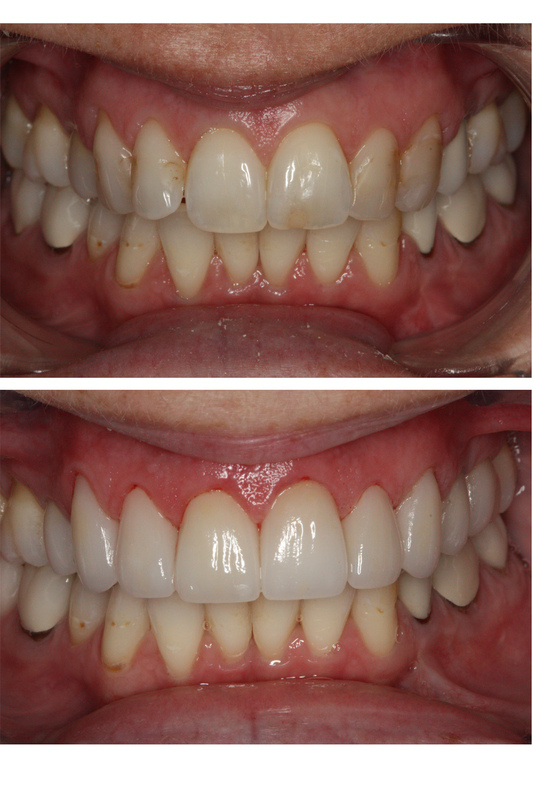 There is a terrific trend in dentistry for more conservative treatment options for patients. You’ll see many of these services marketed directly to the consumer with Invisalign clear aligner trays, 6 Month Smiles, in-office whitening like Zoom and at home whitening such as Crest Whitestrips. There does exist the reality that many of the products and services, while really valuable are not the only answer to aesthetic dentistry dilemma that many of our patients find themselves in. Bottom line you can’t make an ugly shaped or permanently discolored tooth look pretty. Emprethins and no preparation veneer options, remain an ideal choice for mis-shapen, permanently discolored, short or pitted teeth. For more information on dentists that are certified in Emprethins and for the best dental ceramics in the country, contact 800.513.6131 or see examples at www.golddustdental.com.